It is our policy that all library users have access to materials that are complete, UNMARKED, and well-organized. 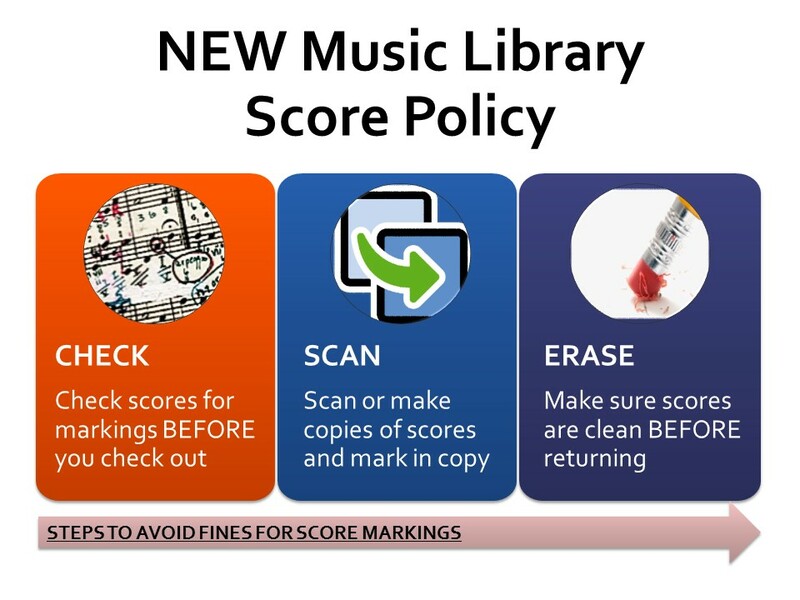 Therefore, in accordance with the UH Libraries Code of Conduct, and as an extension of our Score Clean-Up and Maintenance Project, the Music Library has instituted a fine for each item that is returned to the library with writing and/or markings created by the borrowing patron. 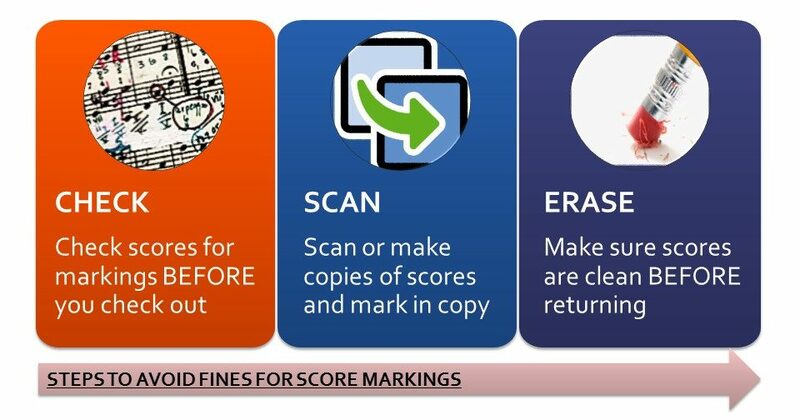 BEFORE you bring an item to the circulation desk for check-out, carefully inspect the score and all parts for markings or damage. Pre-existing conditions will be noted, and you will not be held responsible for them when you return the item.